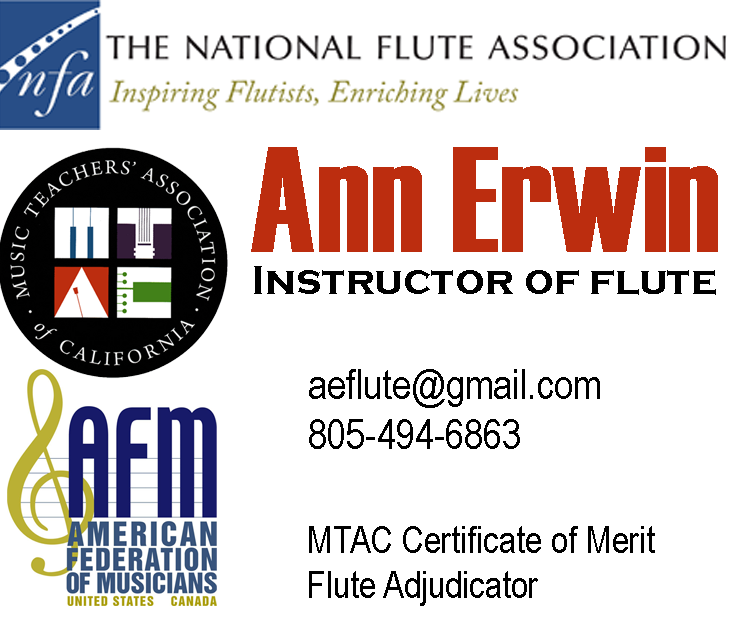 Flutist Ann Erwin earned a Master of Music degree from USC and a B.A. with a double major in music and mathematics from UC San Diego. 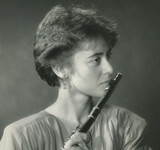 She studied chamber music at the Yale Summer School of Music in Norfolk, Connecticut, and was awarded Annette Kade and Harriet Hale Woolley fellowships to study the flute in Paris, where her teachers included Michel Debost and Ida Ribera. In Southern California she studied with Roger Stevens, James Walker, Anne Diener Zentner, and Damian Bursill-Hall. Ms. Erwin served as Principal Flute of the New Hampshire Music Festival Orchestra and the Ventura Symphony Orchestra. She has also performed with the San Diego Symphony and Opera Orchestras, Orchestra Nova, Santa Barbara Symphony Orchestra, Santa Barbara Chamber Music Festival, Franciscan String Quartet, California Chamber Orchestra, Strauss Symphony of America, and many other organizations. 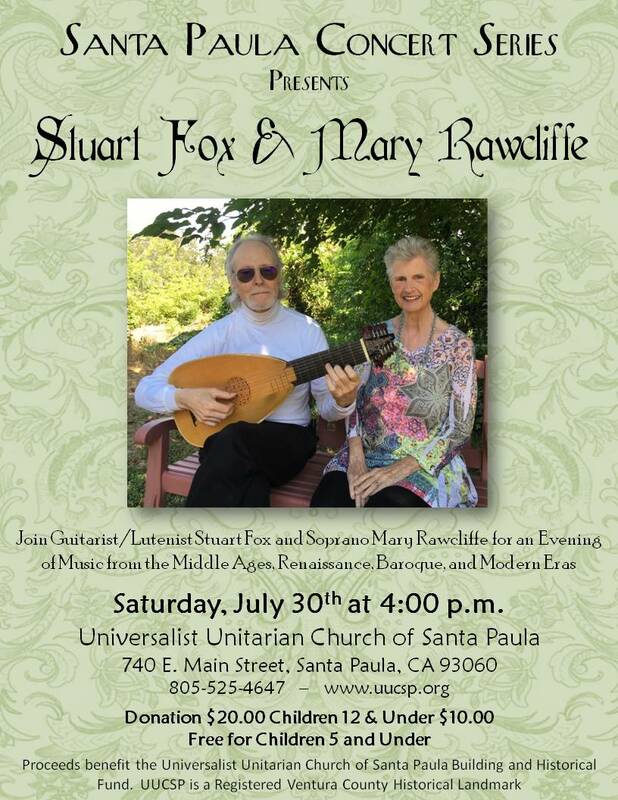 She served as Assistant Professor of Flute at the University of Wyoming and the University of Tennessee and also taught at the University of New Hampshire and the Idyllwild Summer Chamber Music Festival. Currently Principal Flute of San Diego’s Classics Philharmonic and a member of San Diego Winds as well as the Channel Islands Chamber Orchestra, she is an active performer, teacher, and adjudicator throughout Southern California. Ms. Erwin has performed in concerts and recitals in France, Spain, Germany, Mexico, Canada, and throughout the United States, including performances of contemporary music at UNESCO headquarters in Paris, the Staatsbibliothek in Berlin, and the National Flute Association convention. She is a member of the American Federation of Musicians, Music Teachers Association of California, and the National Flute Association.